Earn up to 5,600 reward points. Get a wide range of authentic tube tones in a portable, versatile combo. Combining classic tube sound and feel with next-generation tonal diversity, the BOSS Nextone series presents an exciting new concept in professional guitar amplification. Distinctive channel voicings deliver a wide range of inspiring tones, while four selectable Class AB analog power amp types provide instant access to the unique characteristics of 6V6, 6L6, EL84, and EL34 output tube sections. Backed by BOSS's advanced Tube Logic approach, each power amp type re-voices the entire circuit from input to output, putting the complete sonic experience of these signature power stages in one amp for the very first time. Widely acclaimed by guitarists everywhere, the Tube Logic design approach delivers real-deal sound, feel, and response by reproducing the complex interactive behaviors of tube amps in every way. This comprehensive process also brings valuable advantages for today’s players, including greater reliability, reduced weight, and maintenance-free operation. Tube Logic evolves even further with the Nextone series, unlocking access to deep tone customization features that are impractical or impossible with traditional tube designs. A Nextone amp puts the true response characteristics of the most famous amp designs at your fingertips, allowing you to tweak your sound with unmatched precision. In a tube-based guitar amplifier, the preamp is important for basic tone shaping, but it’s the power amp design that really defines the overall sonic signature and playing feel. Most amps use a specific output tube type, while a rare few allow you to swap out different power tubes. Unfortunately, this process usually requires physical tube replacement and bench time with a tech, making it expensive and inconvenient. For the most part, you really needed to buy multiple amps to access the unique tonal characteristics of different output tube sections…until now. Nextone changes all this with the ability to instantly re-voice its analog Class AB power amp section with one of the four classic designs. American sounds are represented with 6V6 and 6L6 output tube types, while British sounds are represented with EL84 and EL34 types. Unlike modeling amps, which simply feed pre-cooked amp models through a non-reactive amplifier, selecting a power amp type on the Nextone physically changes the complete output circuitry, as well as the way the preamp and speaker interacts with it. This makes the entire amp perform authentically at each setting, providing realism that’s only possible with the advanced Tube Logic approach. •	6V6—Found at the heart of many legendary low-wattage American amps, the 6V6 output tube is known for its distinctively sweet, crisp tone and organic compression. •	6L6—Used in classic American stage amps and some modern high-gain designs, the 6L6 output tube delivers high-headroom punch with a round and full midrange character. 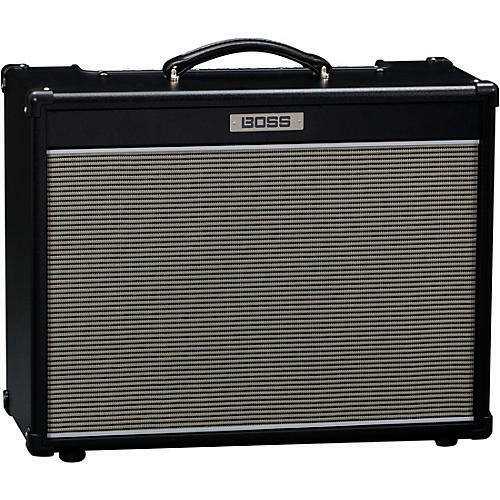 •	EL84—Famous as the power tube in British combo amps introduced in the late ‘50s and early ‘60s, the EL84 produces glassy, clean chime at lower volumes and rich, creamy distortion when cranked. •	EL34—The power tube found in the iconic British stack amps, the EL34 is loved for its warm, fat tone and unmistakable rock crunch. With any tube amp, you really need to push its output tubes to get it to sing at its best. Unfortunately, this means turning up the volume, which is nearly always frowned upon by sound engineers, bandmates, and neighbors. Driven by Tube Logic, Nextone delivers the complex distortion characteristics of output tubes and their interaction with the output transformer and speaker, providing that rich, dynamically responsive sound we all love. And with Nextone’s adjustable power control, you can always experience this cranked-amp tone while matching the volume to any situation, be it home, studio, or stage. Nextone features a dual-channel design with clean and lead channels plus a shared three-band tone stack and presence control. Boost and Tone switches are on hand as well, allowing you to add some extra gain and sparkle if needed. With a quick button press, you can switch the amp into custom mode, which provides factory-tweaked variations of the standard clean and lead channels. Better still, the custom mode channels can be fine-tuned to your liking with the Nextone Editor software. Via a friendly interface, the Nextone Editor gives you deep editing tools to refine the sound to perfectly match your personal style and favorite pedals. Set a channel’s tone stack to American or British types, shape the overall tone with a powerful channel EQ, and even tweak the playing response by adjusting bias, sag, and more. The Tone switch can be assigned to two different types, and the Boost switch can be set for different characters or even be assigned as a compressor. A system-wide EQ is available too, enabling you to define the tonal balance of the entire amp. And with 99 different user setups available, you’re able to customize Nextone’s sound for every gig you play. With its built-in delay, reverb, and tremolo effects, Nextone brings even more versatility and convenience to gigging guitarists. Using the Nextone Editor, the delay section in custom mode can be freely assigned to analog, tape, or SDE-3000 delay types or a tremolo effect, while the reverb can be assigned to plate, spring, or hall types. Furthermore, each effect type offers a deep set of parameters for dialing in the perfect tone. The amp also includes a loop for integrating your own effects, with series/parallel operation, loop position, and more selectable via the Nextone Editor. Connecting with just a single cable, the optional GA-FC foot controller provides a command center for channel selection, Tone, Boost, effects, pedal volume, and more. If you want to travel even lighter, up to three FS-series footswitches can be used to control various functions. There’s also a line out for sending a direct signal to a PA, plus a phones/recording output for silent practice and tracking sessions. Using the Nextone Editor, the character of the direct sound can be set to one of three Air Feel settings for a range of mic’d cab tones. External speaker jacks are included too, with support for connecting up to two 16-ohm 4x12 cabs for even bigger tones. In addition to providing communication with the Nextone Editor, the amp’s USB jack functions as a direct recording interface for your favorite DAW software. Multiple channels are supported, allowing you to record both a cab-emulated output and a dry direct tone for re-amping later through the Nextone.